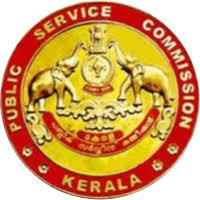 Kerala PSC Storekeeper Old Question Papers PDF download, PSC Storekeeper Syllabus in Malayalam 2018, PSC Storekeeper Solved Question Papers PDF, PSC Storekeeper Model Papers 2018 – Kerala Public Service Commission (Kerala PSC) has released a statement regarding to Storekeeper exam date and admit card download starting date. Candidates who are applied and started reading they need to download study material, general knowledge, solved question papers, last 10 years storekeeper question papers to get a high score on the exam. Kerala PSC Store Keeper is based on marks achieved in the written examination of the candidate selection process. So every candidate must and should check old solved question papers of PSC Storekeeper, syllabus in Malayalam, exam pattern, books, these are all necessarily studied, and they can achieve more marks in their written exam. Here i am sharing PSC Storekeeper old question papers, model question papers, syllabus for you. You can download it in your android mobile also. ഇൗ തവണ പരീക്ഷ മലയാളത്തിൽ ആണ്?